I just came off the beach at the state park. I’m giving the June Grass maybe a 0.75. There are a few random blobs but you really have to look for them in the otherwise gorgeous water. There are some small jellies but I don’t think they sting. I’m allergic to them and I feel fine after body surfing for over a hour. The waves are good-sized but nice for body surfing and boogie boarding. The wind was coming from the south but is now shifting to the west. Flags are yellow. There were a bunch of tiny pompano intent on giving me a “fish pedicure”. They’re annoying but harmless. Remember day use admission, parking, and tram service are free at Topsail Hill Preserve State Park this summer. 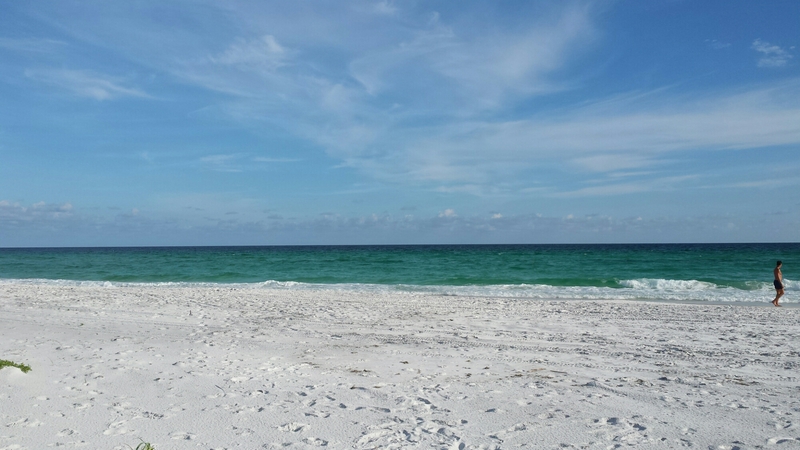 Posted on May 31, 2015, in June Grass and tagged June grass, june grass report, santa rosa beach, thsp. Bookmark the permalink. Leave a comment.